Borobudur Temple is a Buddhist temple, Borobudur is situated in the village of Magelang regency, Central Java, was built by King Samaratungga, one of the kings of ancient Mataram Kingdom, Dynasty dynasty descendants. 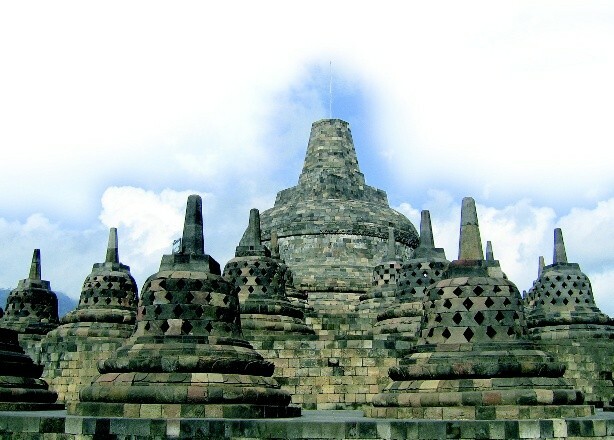 The name Borobudur is a combination of words and Budur Bara. Coals from Sanskrit means temple or monastery. While Budur derived from the word meaning beduhur above, thereby Borobudur means monastery on the hill. While according to other sources, means a mountain having terraces (budhara), while other sources said that Borobudur means monastery on the heights. Borobudur punden staircase-shaped building consists of 10 levels, measuring 123 x 123 meters. Height of 42 meters and 34.5 meters before it was renovated after the renovation because the lowest level was used as a drag. This Buddhist temple has 1460 relief panels and 504 Buddha effigies in its complex. Six lowest level square and the upper three circular form, and the highest level in the form of a Buddhist stupa facing westward. Each level represents the stages of human life. In accordance schools of Mahayana Buddhism, every person who wants to reach the level of the Buddha must through every level of life is. Kamadhatu, the base of Borobudur, symbolizing man who is still bound by lust. Rupadhatu, four levels above it, symbolizing human beings that have set themselves free from lust but still tied to appearance and shape. At that level, put a statue of Buddha is open. Arupadhatu, three levels above where Buddha placed inside perforated stupa. It symbolizes man who was freed from lust, appearance, and shape. Arupa, the very top that symbolizes nirvana, where Buddha is residing. Each terrace has reliefs that will be read coherently runs clockwise (towards the left of the entrance of the temple). In the reliefs of Borobudur tells of a legendary story, a variety of story content, among others there are reliefs of the Hindu epic Ramayana, there are also reliefs Jataka stories. In addition, there are relief panels depicting the condition of society at that time. 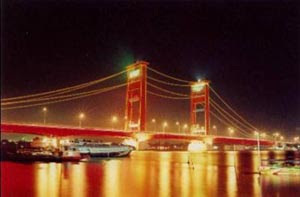 For example, the relief of farmers' activity reflecting the advance of agriculture system and relief of sailing boat representing the advance of the time shipping was centered in Bergotta (Semarang). All relief panels in Borobudur temple reflect Buddha's teachings. A Buddhist from India named Atisha, the 10th century,'ve been to the temple which was built three centuries before Angkor Wat in Cambodia and 4 centuries before the Great Cathedral in Europe. Thanks to visiting Borobudur and having Buddhist manuscripts from Serlingpa (one of the king of the kingdom of Srivijaya), Atisha was able to develop Buddhism. He became abbot Vikramasila and taught Tibetans of practicing Dharma. Six manuscripts of Serlingpa was condensed into a core doctrine called "The Lamp for the Path to Enlightenment" or better known by the name Bodhipathapradipa. One of the questions still unanswered about Borobudur is how the condition around the temple was built and why the temple was found buried in a state. Some say Borobudur originally stood dikelilingii swamp and then buried by the eruption of Merapi. It is based on Calcutta inscription reads 'Amawa' means sea of milk. The word which is then interpreted as the lava of Merapi, Borobudur likely buried in the cold lava of Merapi. The villages around Borobudur, as there Wanurejo Karanganyar and activities of people make crafts. In addition, the peak watu Kendil an ideal place to view the panorama from the top of Borobudur. Earthquake May 27, 2006 and no impact at all on the Borobudur temple so that the building can still be visited. About three hundred years ago, where this temple is still a forest by residents of the surrounding shrub called Redi Borobudur. For the first time, the name Borobudur is known from the work of MPU Prapanca Negarakertagama manuscript in 1365 AD, mentioned about the monastery in Budur. Then in the Babad Tanah Jawi script (1709-1710) there is news of Mas Fund, a rebel against King Pakubuwono I, who was caught in the Redi Borobudur and sentenced to death. 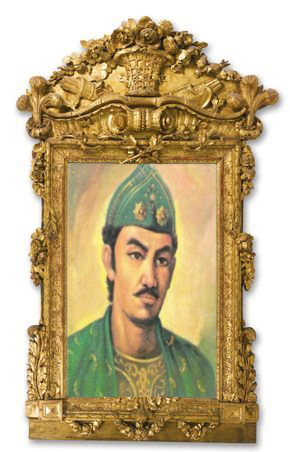 Then in 1758, sparked the news about a prince from Yogyakarta, namely Prince Monconagoro, who are interested to see the statue of a knight trapped in a cage. In 1814, Thomas Stamford Raffles got the news of his subordinates on the hill covered with carved stones. Based on the news that Raffles sent Cornelius, an admirer of art and history, to clean up that hill. After cleaning for two months with the help of 200 people population, the more clear the building and restoration of the temple continued in 1825. In 1834, Resident Kedu clean the temple again, and in 1842 the temple stupa is reviewed for further research. Regarding the name of Borobudur itself many archaeologists who interpret it, among them Prof.. Dr. Poerbotjoroko Borobudur explains that the word comes from two words Bhoro and Budur. Bhoro derived from Sanskrit which means bihara or dormitory, while the word Budur refer to the words that come from Bali beduhur which means above. This opinion is corroborated by prof. Dr. WF. Stutterheim who argue that Borobudur means Bihara on top of a hill. Prof. JG. De Casparis basing on Middle Reef inscription mentioning the year of this new building, which Sangkala Year: Sagara kstidhara taste, or years Caka 746 (824 AD), or in the House of dynasty which glorifies the god Indra. In the inscription on it can be Bhumisambharabhudhara name which means a place of worship of the ancestors for the souls of their ancestors. How it happens to be a shift of Borobudur? This happens because the pronunciation of the local community. Borobudur temple is made in the House of the Buddhist dynasty under the leadership of King Samarotthungga. Architecture that creates a temple, based on public speech named Gunadharma. Construction of the temple was completed in 847 AD According to the inscription Kulrak (784M) making the temple was assisted by a teacher from Ghandadwipa (Bengalore) named Kumaragacya a highly respected, and a prince from Kashmir named Visvawarman as an expert advisor in the teaching of Tantric Vajrayana Buddhists. Construction of this temple began during the Maha Raja Sri Sanggramadananjaya Dananjaya the title, followed by his son, Samarotthungga, and by his granddaughter, Dyah Ayu Pramodhawardhani. Before restoration, the Borobudur Temple in ruins just as well as artifacts discovered a new temple. Subsequent restoration by Raffles and Cornelius in the Resident Hatmann, after that period is then performed in 1907-1911 by Theodore van Erp who rebuilt the temple from the ruins of the order form because of the time eaten up the form now. Van Erp is actually an expert on building techniques Genie army with the rank of lieutenant, but then attracted to research and learn the ins and outs of the Borobudur Temple, began his philosophy up to the teachings they contain. For that he tried to do a comparative study for several years in India. He also went to Sri Lanka to see the composition of the Sanchi stupa peak in Kandy, until finally van Erp discovered form of Borobudur Temple. Meanwhile, on the basis of philosophy and religion invented by Stutterheim and NJ. Chrome, which is on the teachings of the Mahayana Buddhist Dharma-Yogacara and there is a tendency also mixed with a flow-Tantrayana-Vajrayana. Research on the composition of the temple and brought philosophy itself requires a substantial time, especially if linked with other temple buildings are still one family. Just as the Borobudur temple with Pawon and Mendut which are geographically located in one lane. Borobudur is the second largest temple after temple Ankor Wat in Cambodia. Building area of 15,129 m2 of Borobudur temple which is composed of 55,000 m3 of rock, from 2 million pieces of rocks. Average stone size 25 cm X 10 cm X 15 cm. Pieces of the overall length of 500 km stone by stone the overall weight of 1.3 million tonnes. The walls of the Borobudur Temple surrounded by pictures or reliefs which are a series of stories that terususun in the 1460 panel. The length of each panel 2 meters. If the circuit relief is stretched so long about 3 km of relief entirely. The number of levels there are ten, 1-6 levels of a square, while the level of 70-10 round. Statues found around the temple buildings totaling 504 units. High temple of the soil surface until the end of the main stupa was 42 meters, 34.5 meters but now lives after being struck by lightning. According to the investigation of an Austrian anthropologist, ethnologist, Robert von Heine Geldern, the ancestor of the Indonesian people are familiar with grammar and culture in the Neolithic period Megalithic originating from South Vietnam and Cambodia. In ancient Megalithic that the ancestors of Indonesia makes his ancestor's grave once a place of worship in the form of tiered pyramid building, getting to the top gets smaller. One of them is found in the valley Sibedug Leuwiliang Bogor West Java. A similar building located in Sukuh near Solo, as well Borobudur. If we look from a distance, Borobudur will look like a staircase or a similar arrangement of building the pyramid and a stupa. Unlike the giant pyramids in Egypt and the Pyramids of Teotihuacan in Mexico Candi Borobudur is another version of pyramid building. Borobudur pyramid form kepunden staircase will not be found in the region and any country, including in India. This is one of the advantages of Borobudur temple which is a typical Buddhist architecture in Indonesia. Until now there are some things that still a matter of mystery surrounding the founding of the Borobudur Temple, for example in the case of stone structure, how to transport the stone from the area of origin to destination, whether the stones were already in the desired size or shape of the original still rocks the mountain , how long the process of cutting the stones to the size you want, how to raise the stones from the bottom of the page to the top of the temple, the crane is used?. Image of relief, whether the stones were installed after the last picture, or a plain stone in the new state carved out for the draw. And starting from the part where the image was carved, from top to bottom or from bottom to top? there are many more mysteries that have not been revealed by science, especially concerning the space of the main stupa discovered in Buddhist temples and statues, in the center or the zenith of the largest temples in the stupa, apparently there used to be a statue depiction Adibuddha imperfect, which until now remains a mystery. 1814 - Sir Thomas Stamford Raffles, Governor General of the United Kingdom in Java, heard of the discovery of archaeological objects in the village of Borobudur. Raffles ordered H.C. Cornelius to investigate the location of the discovery, a hill covered with shrubs. 1873 - The first monograph published about the temple. 1900 - The Dutch East Indies government established a committee of restoration and maintenance of the temple of Borobudur. 926 - Borobudur was restored again, but stopped in 1940 due to the crisis and the malaise of World War II. 1956 - Indonesian government requested the assistance of UNESCO. Prof. Dr. C. Coremans came to Indonesia from Belgium to investigate the causes of damage to Borobudur. 1963 - Indonesian government issued a decree to restore Borobudur, but the mess after the events of the G-30-S.
1968 - at the conference-15 in France, UNESCO agreed to provide assistance to rescue Borobudur. 1971 - Indonesian government established a body chaired Prof.Ir.Roosseno restoration of Borobudur. 1972 - International Consultative Committee was formed with the involvement of various countries and Roosseno as its chairman. UNESCO-sponsored committee to provide 5 million U.S. dollars from the cost of restoration was 7750 million U.S. dollars. The rest covered Indonesia. January 21, 1985 - happened bomb attack which damaged some of the stupa at Borobudur temple which was soon restored. 1991 - Borobudur designated as a UNESCO World Heritage. Soekmono, R. DR., Introduction to the History of Culture Indonesia 2, New York: Canisius Publishers, 1973. Kusmayadi Ismail, "Treasure That Named Candi Borobudur", Mind Cyber Media, Saturday, July 2, 2005. Soekmono, R. DR., Borobudur - Cultural Heritage of Mankind, London: Reader Jaya, 1978.